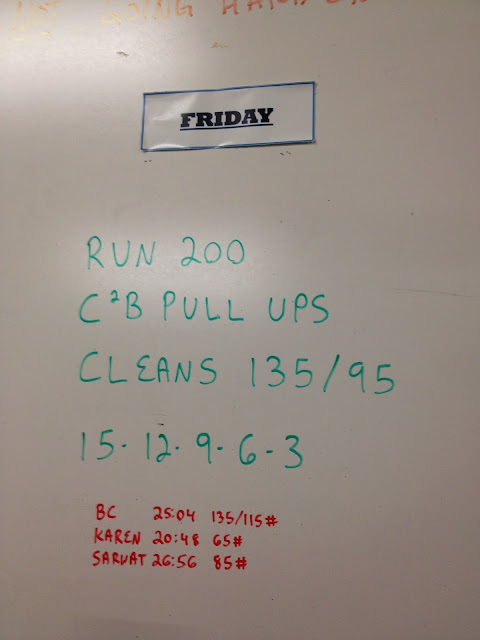 It was a challenge to do the cleans (fully squatting, no power cleans) and I had to mentally prepare for each and every one of the 45 reps but I got it done and really, 85 lbs was not that bad. This last year, with all the the squats and cleans I have been doing has paid off. I used to absolutely hate receiving the bar and fully squatting in the clean because I never felt confident in my squats and in catching the weight but today showed me that with a lot of hard work, I am capable of doing this. And in good time since I want to start lifting a little bit heavier during the WODs and work on my endurance and then my speed. 12 hours later and no DOMs either! I do have the DOMs from the bench pressing and dips yesterday (triceps are sore!) which was a little surprising but I guess when you take a few weeks off, that's to be expected. Now I'm off for another bike trainer workout to build up my mountain biking legs. I might as well get some bike time in despite the rain! 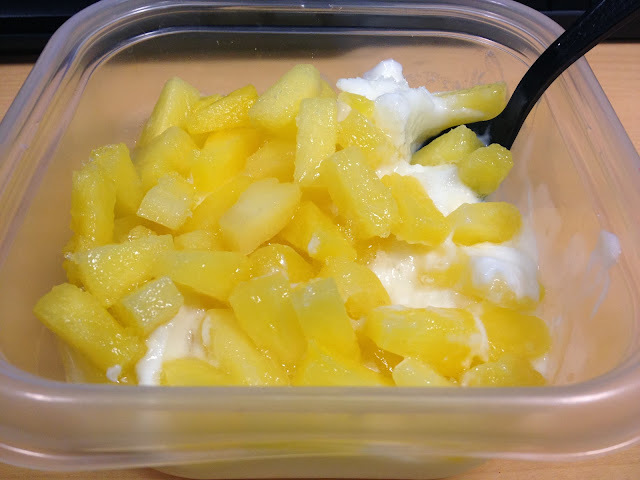 Looking forward to my afternoon snack: pineapple chunks mixed with nonfat plain yogurt! No need for added sugar and weird ingredients.